And of course, I always make a theme cake for him that was inspired by the Bubble Over Bundle. The cap is a little wonky but he didn’t seem to mind. He loves the special theme cakes that I’ve made over the years for him and this one was no different. It put a big smile on his face, and I learned something too. 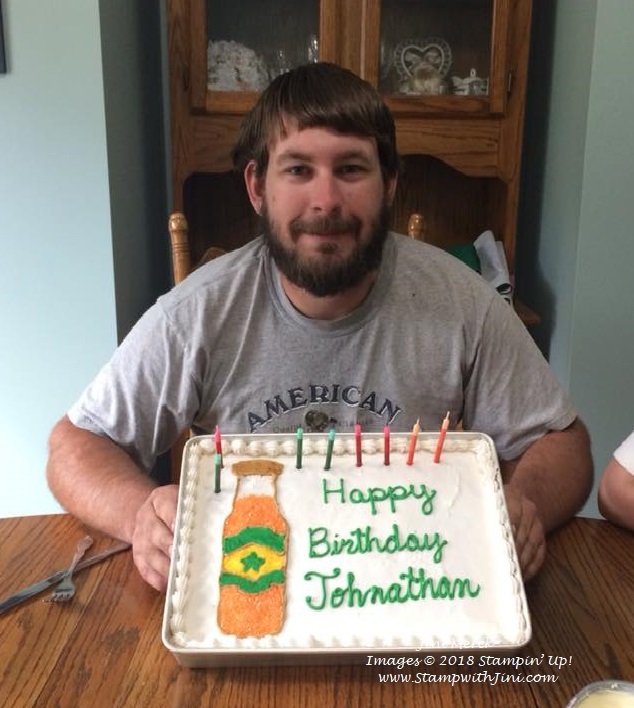 Did you know you can make a beer cake? I didn’t until my friend mentioned it, but why not right? Need to check out some recipes since I know it will be a lot of fun to give a try. (How appalling after being raised in Milwaukee. Ahhh the smell of hops… a story for another time.) LOL! 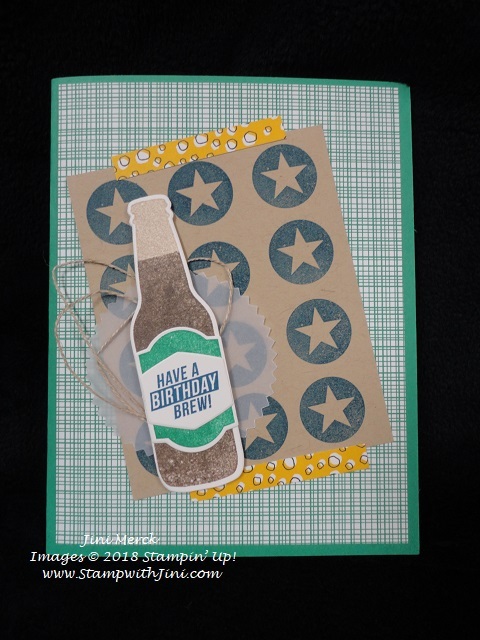 Want to see how I made the card? I’ve made a tutorial for you. I’m so excited later this week I’ll be attending our OnStage event here in Atlanta and I’ve been working on some goodies that I’ll be sharing with you later in the week for my team members who are attending too! A full day of stamping fun AND the new 2018 Annual Catalog is going to be unveiled too!!! Whoo hoo! It’s part of the fun and part of what I love about being a Demonstrator. Click HERE to learn about being part of my team and joining in the fun. 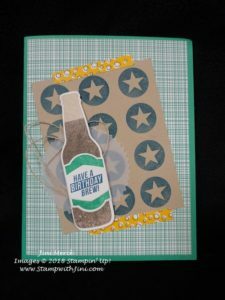 This entry was posted in Cards, This & That and tagged Bottles & Bubbles Framelits Dies, Bubble Over, Free Tutorial, Starburst Punch by Stamp with Jini. Bookmark the permalink.